Vogel Holding's compressed natural gas (CNG) stations have been featured in Waste360. Click here to read the full article. The two CNG stations - one at Seneca Landfill and one at Vogel Disposal Service in Mars - are part of our effort for end-to-end responsibility. 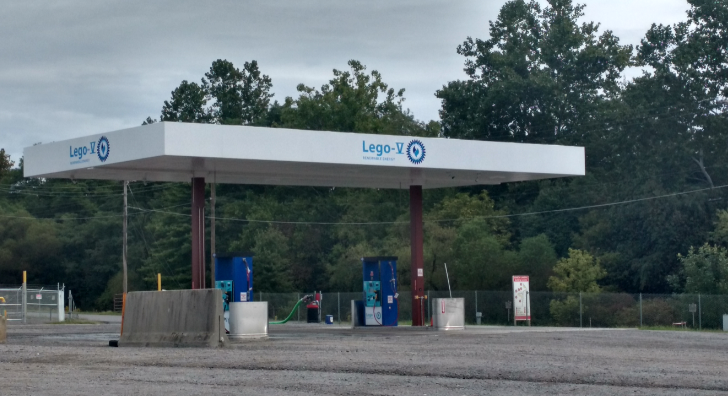 The Lego-V CNG station has been attracting a lot of attention as the first of its kind in Pennsylvania. After capturing methane from Seneca Landfill, the gas is filtered and converted into a usable form. The end product is used to fuel our fleet of vehicles. It is also available to members of the public with CNG vehicles. Read the full story on Waste360's website.